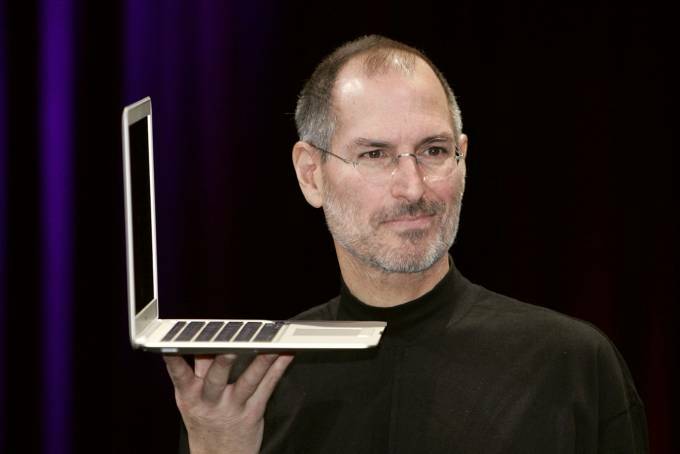 Born in 1955, killed in 2011, Steve Jobs would be turning 63 on February 24, 2018. Recognized as one of the most creative and influential minds in the world of technology, the creator of Apple was also famous for his striking phrases . Most of his most-remembered quotes - such as the classic "Stay Hungry, Stay Foolish" - come from a landmark speech to Stanford University trainees in 2005. Only on the institution's official YouTube channel , the video has been viewed more than 29 million times . Here's a selection of 11 phrases from the visionary Apple founder who can influence your thinking about the present - and the future - of your career: Remembering that you will die is the best way to avoid the trap of thinking that you have something to lose. You're already naked. There is no reason not to follow your heart. Your time is limited, so do not waste it by living someone else's life.... Do not let the noise of the opinion of others drown out your own inner voice. Being the richest man in the cemetery does not interest me ... Going to bed at night saying we've done something wonderful, that's what matters to me. These have been my mantras - focus and simplicity. The simple can be more difficult than complex. You need to work hard to keep your thinking clean and keep it simple. The job will fill a large part of your life. The only way to be truly happy is to do what you believe to be a great job. And the only way to do a great job is to love what you do. If you do something and the result is very good, then you need to do something else wonderful without leaning on it for long. Just find out what's to come. My business model is the Beatles. (...) They swayed, and the total was greater than the sum of the parts. It's how I see business: incredible things are never made by a single person, they are made by a team. Innovation] comes when you say 'no' to a thousand things (...). We are always thinking of new markets that we can join, but it is only by saying 'no' that you can focus on things that are really important. If you want to live your life in a creative way, as an artist, you can not look too far back. You need to be willing to take everything you've done and everything you've been and throw away. You have to trust in something - in your instinct, destiny, life, karma, anything. This idea never lets me down, and it made all the difference in my life.